For me the idea of serving as an employee has always felt a bit surreal. I did not want a day job. From my first technology job I wanted to build something for myself, to strike out on my own. I’ve been freelancing for nearly two years now. I still do not want a boss, or to have to be in a cubicle at a certain time every day, or deal with performance reviews. None of it. Frankly the idea of going back to that at this point is terrifying. I’ve essentially spent the last two years getting to work the way I want because my clients trust me. On January first of 2017, I went back to being an employee again, but without the downsides I’ve listed above. I would like to tell you why, and how I got here. But first, how I started freelancing. 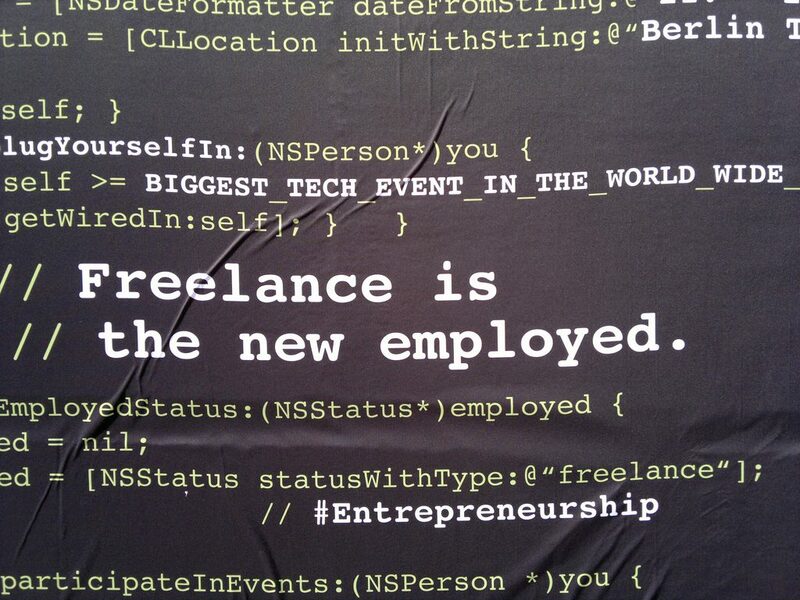 The main issue with freelancing is critical mass. Not only do you need to find enough work to cover expenses (which could be that first contract assignment), but you need a system that generates work when that assignment ends. I build up a portfolio of work at night, starting with the occasional article for websites that wanted software testing content. At that point I was delivering an article every couple of months and making a few hundred extra dollars a year. I also had a personal blog that I was posting to during that time. The writing grew quickly. Over the course of a year I went from earning a couple of hundred dollars a year to about a third of what my full time job was paying. Just from writing. I was saving a lot of money, but that wasn’t enough to quit my day job. After a year of this, I got lucky. My co-blogger, Matt, had a contractor working on a software testing project and that wanted to move on to something else. I signed some papers, put in my two week notice at the full time job, and jumped into freelancing from home. The work was a little less than full-time, so I could take other assignments, write quite a bit, even do a little bit of consulting and training, without burning myself out. After about a year, something started to happen; overflow. When I started, Matt was helping me find writing and software testing clients. It wasn’t too long before people started to email me directly for work. This wasn’t common, but it was happening. Some freelancers struggle to find steady and stable work. I did not have that problem. I had too much work and needed to find a place to put it. Initially, my solution was to give those accounts to Matt. He had more account management experience, more collections experience (hey, I didn’t want to do it), and had the network and insurance to staff the projects. Matt has been good about compensating me for all the work I’ve done, but eventually, it would make logical sense for me to try to put the same structures in place he had, and to keep the work. Only … I didn’t want to do that. At least not yet. Emotionally, I didn’t want to compete with Matt, even though it was beginning to make business sense. So I took the problem to Matt, and he did something I did not expect to happen. He offered to buy my company. That is, he would get all my contracts, and my professional loyalty. I would come alongside as an employee, would agree not to accept outside deals, and would have a significant hiring bonus. But I didn’t want to be an employee. I sure did not want a boss. So Matt made a different offer. Instead of cash, I accepted stocked in his company, Excelon Development, with the opportunity to purchase more in the future at a fair price. The membership shares are dated options based on a formula; if we double the company in a year, I can purchase at the old value of the company. Instead of being an employee, I’m a partner. Today, My day to day work is nearly identical to when I was freelancing. There are more sales calls, and more strategy calls. We certainly have to do more planning to make sure we have enough work for both of us far enough in advance, but the work is still the work. For now at least. This is a new adventure, and it is a little scary. But, if things aren’t a little scary then we probably aren’t pushing forward hard enough, are we? Congratulations! All the best to your new journey.